Growing your business on Facebook can reap many rewards when it comes to customer loyalty, brand building and even product sales. With the ever declining reach of Facebook business pages, turning toward intentional and well thought out advertising campaigns is becoming increasingly important. 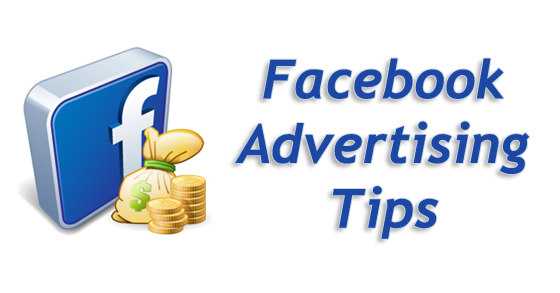 Facebook advertising offers businesses access to a targeted group of customers for pennies on the dollar compared to traditional advertising. Does it work? Check out Gary Vaynerchuck’s response to a similar question at a recent convention. Clicking “Boost Post” on a whim is not the best approach for a Facebook advertising strategy. Set your monthly goals – are you driving likes to a page, sending people to a website link, promoting an event or generating attention to specific Facebook posts? How much do you want to spend? You can set up daily limits, click through thresholds, and campaign limits. No matter what your objectives and methodologies, make sure that you are positioned to calculate success. (From Search Engine Watch) Allocate at least half your Facebook ad budget to News Feed placements. As stated above, News Feed ads not only drive superior performance relative to right-side ads, but they also present several additional key benefits including increased mobile reach. News Feed ads are currently the only type of Facebook ads eligible to appear on mobile devices. By next year, you should increase that percentage to well over 50 percent, as more people turn to their smartphones to access Facebook. At a minimum, most businesses will want to target to a specific location and age or gender demographic. This targeting is easy to edit. Additional targeting can be done with people’s interests (like wine and beer), search behavior (recently searched for Chevy Camero), or even post activity (likelihood to purchase a house). We have used each of these examples during different ad campaigns for clients with great success. Run short campaigns and track the data for performance. Basically, don’t use the same stock imagery over and over or for long campaigns. Keeping things fresh will increase click through rates and keep ads from getting stale. Use your cover photo image for additional promotional real estate. When a user hovers over a business name in a newsfeed ad, the business profile pops up. Additionally be creative and intentional with your ad copy. You have 135 characters, use them wisely. 5. Produce and experiment with several ads. (From Business 2 Business Community) Don’t simply run a single ad within each campaign. The smallest alteration in the words you select or the graphic you utilize can have an outsized effect on the CTR for your ad, so it’s best to make numerous adaptations of your ad and experiment with them to find out which ad gets the most excellent response. Facebook makes this course of action effortless. As soon as an ad has been finished, you have the opportunity to “Create a Similar Ad” and just swap in a different image or text. Create five different ads for the similar campaign, use them for a day, and afterwards look at your ad statistics on Facebook to find out which ad performed the best. You can subsequently produce a fresh ad that is comparable to your top-performing ad, but revamp it just a little to observe if you can outdo the preceding performance. Don’t fail to remember to change ads following a short period to trim down ad exhaustion.